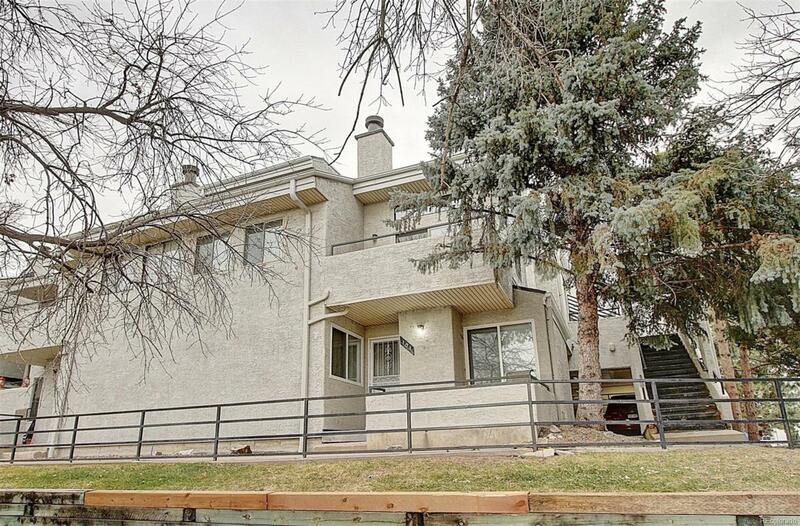 Terrific condo near Sloan's Lake Park and Main Street Edgewater! Great layout that includes a spacious loft master bedroom with private full bath, 2nd bedroom/office, 3/4 main floor bath, living room with a vaulted ceiling and fireplace, and a formal dining space. Many recent improvements throughout this home -- stainless steel appliances, kitchen and bathroom flooring, lighting, 6-panel doors and hardware, baseboards, and carpet. Don't miss the additional features -- washer/dryer included, double pane windows, wood blinds, tank-less water heater, central A/C, ceiling fans, skylight, 1 reserved/covered parking space, outdoor pool, and recent exterior paint/roof in 2017. Close to many amenities around Sloan's Lake Park, as well as easy access to downtown Denver. Come see it today! Contract Addl Terms Buyer To Verify Fha And Va.